Corporate communication should not only be professional, but also an experience for the customer. 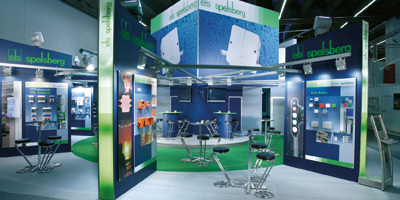 We realise your ideas, from our standard compact stand up to individual design variations. 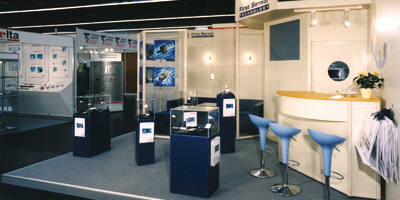 We develop solutions for exhibition stand construction which are tailored to the needs of the exhibitor and their products. 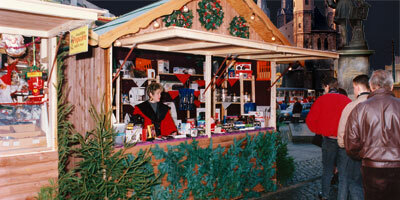 Christmas market, medieval market fair, festivals & events: let us also implement your visions into reality! Loewe Messebau Deutschland AG & Co.KG has been present in the German market for more than 30 years. 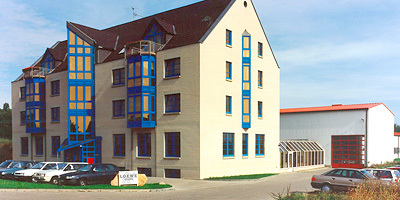 With the head office in Halle (Saale) we make our many years of know-how available for our customers worldwide. We develop solutions for exhibition stand construction which are tailored to the needs of the exhibitor and their products. Our solutions provide you with a highly visible, distinguished appearance that all visitors will remember for a long time to come. Let us also implement your visions into reality! Corporate communication should not only be professional, but also an experience for the customer. We realise your ideas, from our standard compact stand up to individual design variations for SMEs and large-scale enterprises at trade fairs, art exhibitions and festive occasions. Experience our full service encompassing advice, design, support, implementation, delivery as well as set up and dismantling from one source.